At the sixth World Water Forum held last week in Marseille, France, experts from over 170 countries met to discuss solutions for sustainable water management. Satellite observations of our planet were widely acknowledged as an indispensable tool for collecting information on available water resources. This is especially true for areas like cross-boundary river basins, such as the Nile basin and its 11 countries. 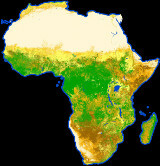 Responding to this need for information on water, ESA’s TIGER initiative is running projects and building capacity to use space technology for managing water resources in direct partnership with several African and international organisations, such as the African Ministers’ Council on Water, UNESCO-IHP, African Water Facility, UN-ECA and the Canadian Space Agency. At last week’s World Water Forum, TIGER’s recent Aquifer project was highlighted as a major success story. Aquifer was developed in collaboration with the Sahara and Sahel Observatory (OSS) to use satellites for managing cross-boundary groundwater aquifers, which are the main source of freshwater in the region. The results led to the African Water Facility of the African Development Bank investing in the technology, culminating in the OSS being selected as the winner of the King Hassan II Great World Water Prize. “The European Space Agency has continuously supported OSS with the integration of Earth observation in our programmes on trans-boundary groundwater aquifers through the TIGER initiative,” said Chedli Fezzani, Executive Secretary of the OSS. The newest TIGER activity, TIGER-NET, was also launched at the Forum, chaired by the Africa Ministers’ Council on Water. This project is developing Earth observation solutions for integrated water resource management to support numerous African water authorities: Nile Basin Initiative, Lake Chad Basin Commission, Volta Basin Authority, Department of Water Affairs South Africa and the Namibian Ministry of Water. A cost-effective water observation and information system exploiting satellite data will be installed in each of the selected water authorities to monitor, assess and take inventory of water resources in their river basins. 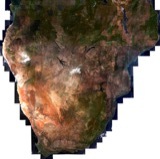 Successful and sustainable development of Earth observation applications requires dedicated capacity building and training of African scientists and water authorities to exploit current and future satellite observations such as the upcoming Sentinel missions. Recent and planned activities of the TIGER Capacity Building Facility – where African researchers are trained in exploiting satellite data – were also presented at the World Water Forum. “UNESCO’s close cooperation with the TIGER initiative stimulates water researchers to exploit spaceborne remote sensing technology in UNESCO’s priority region: Africa,” says Siegfried Demuth, Chief of Hydrological System and Global Change Section at UNESCO.